JACRAU (Jacquero, Jacquerault), JOSEPH-ANDRÉ-MATHURIN, parish priest, procurator of the seminary of Quebec, and promoter of justice in the diocesan tribunal; b. c. 1698 in the diocese of Angers, France; d. 23 July 1772 in Quebec. Joseph-André-Mathurin Jacrau must have arrived in Canada by 1725; he received the tonsure and minor orders from Bishop Saint-Vallier [La Croix*] on 16 March 1726 in the chapel of the Hôpital Général in Quebec, where he was also ordained priest on 24 November. Since he had already attained the mature age of 28 years by the time of his ordination, the bishop put him in charge of the parish of Ancienne-Lorette at the beginning of 1727. He had some legal quarrels with his predecessor, Charles-Joseph Le Berre, and with habitants who were unwilling to comply with the public ordinance concerning the parish districts. In 1737 Jacrau asked to be admitted as a member of the community of the Séminaire de Québec; his request was granted on 15 October and approved the same day by the vicar general, Jean-Pierre de Miniac. The new member, who was recognized for his business acumen, received the office of procurator, probably at the end of 1738. In order that he might hold the office, he was admitted without delay to the council of the community, a decision which the directors in Paris approved without hesitation. In addition, in 1739 the superior, François-Elzéar Vallier*, who was about to sail to France for reasons of health, delegated to him his powers as procurator for Bishop Dosquet, who had been absent from the colony since 1735. 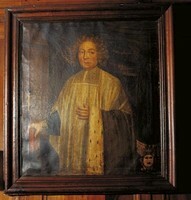 Jacrau was promoter of justice in the diocesan tribunal from 12 Dec. 1740 and, after the death of Charles Plante* in 1744, the seminary appointed him substitute priest for the parish of Quebec. He is known to have prepared the nominal census of Quebec and its suburbs which was begun on 15 Sept. 1740. In addition, Jacrau became acting superior of the seminary, succeeding Abbé Vallier, who died on 16 Jan. 1747. In this capacity he had a number of disagreements with Bishop Pontbriand [Dubreil*]. 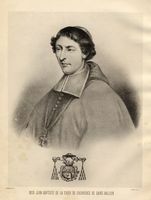 Jacrau claimed that the seminary of Quebec was neither an episcopal nor a diocesan seminary, and that it was subject solely to the authority of the Missions Étrangères in Paris. 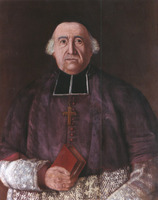 Bishop Pontbriand, who could not admit such claims, took over the direction of the seminary. When informed of this conflict the authorities in Paris sent Christophe de Lalane to Quebec and he replaced Jacrau as superior in the summer of 1748. On 20 Sept. 1749 the seminary relieved him of his parochial duties in the parish church of Notre-Dame in Quebec with the appointment of a new titular parish priest, Jean-Félix Récher*, so that Jacrau was able to devote himself entirely to the office of procurator, which he had resumed in November 1748; from the following year on he was assisted by a layman, David Mouisset. In 1752 he was replaced as procurator by Colomban-Sébastien Pressart, whose assistant he became, but he resumed the office in 1756. When various lawsuits were subsequently brought against the seminary, particularly by the chapter of Quebec, the procurators of the seminary were provided with ample material to keep them busy as archivists [see René-Jean Allenou* de Lavillangevin]. Jacrau was one of the five priests of the seminary who went through the crucial period of the conquest. Having remained alone in Quebec with Urbain Boiret to watch over the seminary’s property during the siege in 1759, he was devoting himself to the spiritual care of the patients in the Hôpital Général when he fell seriously ill in September; he hovered between life and death until March of the following year. He recovered somewhat but remained an invalid, which did not prevent him when the war was over from helping in the restoration of the seminary, and also of the seigneury of Beaupré, which had been completely devastated by the British. Jacrau was also chaplain to the nuns of the Hôtel-Dieu from 1761 to 1764. 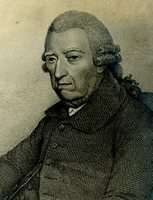 Jacrau, who had been Canon Jean-Olivier Briand’s regular confessor since 1753, took advantage of Briand’s voyage to England in the autumn of 1764 to accompany him as far as Dover, before returning to his native land for a while in the hope of recovering his health. They met again at the beginning of 1766 in Paris, where Jacrau was a witness at the inquiry into the character of the future bishop of Quebec, and on 28 June they returned to Canada together. Jacrau made some attempt to attend again to the business of the seminary but his health continued to deteriorate. He made known his last wishes, which he had written down before his departure for France, and died on 23 July 1772. He was buried the next day in the crypt of the chapel. 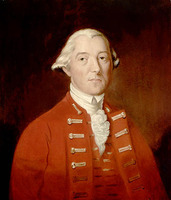 It was probably because of the competence in legal matters of Jacrau and of his colleague Pressart that in 1767 or at the beginning of 1768 Lieutenant Governor Guy Carleton* referred to the priests of the seminary the abridgment of the French civil laws in effect in Canada which had been prepared by François-Joseph Cugnet at the request of the Privy Council. The priests were not satisfied with the document, and Carleton asked them to write an abridgment of the customary law of Paris. Their text met with no more favour than had Cugnet’s with a number of Canadian gentlemen who cannot be identified with certainty; according to Maseres they were three or four of the most prominent seigneurs in the country. Carleton therefore invited these critics to collaborate with Cugnet and the priests of the seminary in the preparation of a document that he could submit to the Privy Council. Their work, known in Canada as the “Extrait des Messieurs,” was composed of five fascicules which were published in London under Maseres’s instructions. The first three appeared in 1772 and the remaining two the following year. Although the texts were written in French, each bore a long English title. One of these fascicules had Cugnet as its author; the other four were the work of “a Select Committee of Canadian Gentlemen, well skilled in the Laws of France and of that Province,” and Abbé Jacrau was certainly a member of this committee. AAQ, 12 A, C, 34, 37 (Jacrau’s certificates of ordination to the diaconate and priesthood are written in his own hand). ASQ, C 9; C 11; C 22; Chapitre, 150, 152; Évêques, no.206; Lettres, M, 91, 93, 112; R, 8, 132, 134, 135; S, 72, 74; mss, 12, ff.3, 7, 13, 23; Polygraphie, III, 61; VII, 102, 102a, 115, 120; XV, 24b; XXIII, 1; Séminaire, 3, no.7; 4, nos.128–29d; 28, no.22. Philéas Gagnon, Essai de bibliographie canadienne . . . (2v., Québec et Montréal, 1895–1913), I, 2. P.-G. Roy, Inv. jug. et délib., 1717–60, II, 184, 199; III, 266. A.-H. Gosselin, L’Église du Canada après la Conquête, I. M. Trudel, L’Église canadienne. Leland, “François-Joseph Cugnet,” Revue de l’université Laval, XVII, 448, 450–53, 455–56, 820, 822–23. Honorius Provost, “JACRAU, JOSEPH-ANDRÉ-MATHURIN,” in Dictionary of Canadian Biography, vol. 4, University of Toronto/Université Laval, 2003–, accessed April 22, 2019, http://www.biographi.ca/en/bio/jacrau_joseph_andre_mathurin_4E.html.